Berton’s Fathers Day card 2012. 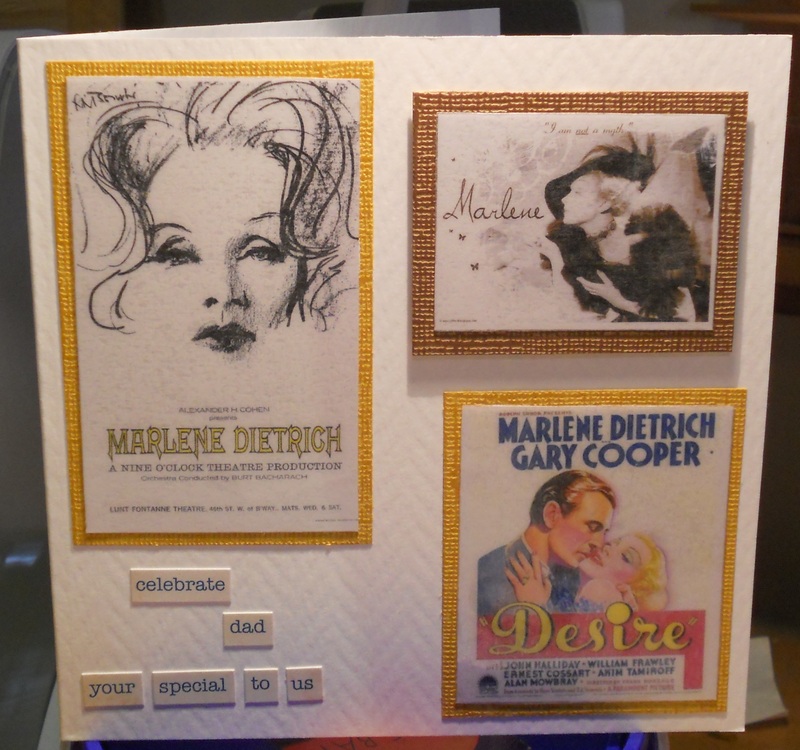 He loved Marlene Dietrich, so the card is in her honour! Pictures from the internet via Google search on Images and then printed on an Inkjet and covered with Jac paper. 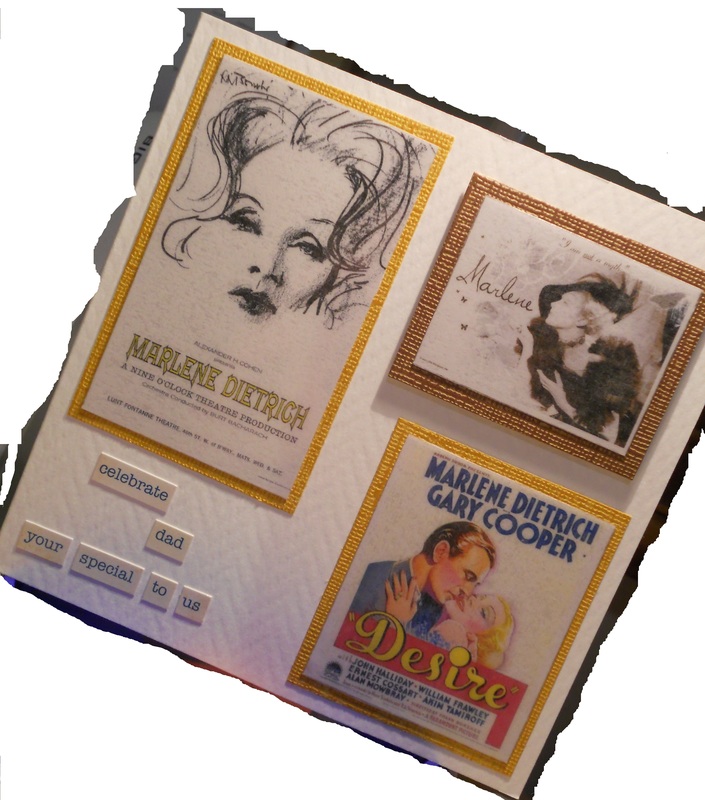 Pictures cut out and mounted on coloured card stock. Words adhered to card as sentiment.